Ukraine should elect a real president, who will continue to lead the country on a democratic path. 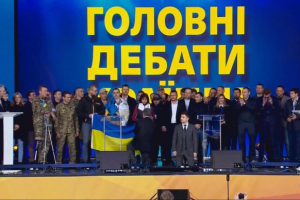 President of Ukraine Petro Poroshenko made a corresponding statement, speaking from the stage on the square in front of the National Sports Complex “Olimpiysky” in Kyiv, where he arrived to participate in the pre-election debate, an Ukrinform correspondent reports. "We are not afraid of anyone. We are doing everything possible for the country to find out the truth. The country does not want to elect a pig in a poke. 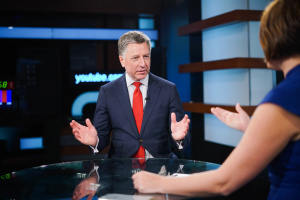 Ukraine should elect a real president, a real Supreme Commander-in-Chief, who will continue to lead our country on the path towards the EU and NATO," the Head of State stressed. 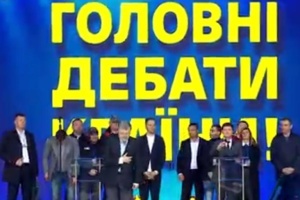 At the same time, another candidate for the post of the President of Ukraine, showman Volodymyr Zelensky did not come to the NSC “Olimpiysky” to participate in the debate. The President proposed to wait for presidential candidate Zelensky until 15:00. “I think that today the Olimpiysky stadium can be easily reached in 40 minutes from any location of Kyiv. Let's wait for Mr Zelensky for 40 minutes, even 45 minutes, until 15:00. Volodymyr Oleksandrovych, I am convinced that you are now watching us. I hope you've already returned from Paris and had a rest," Poroshenko said. 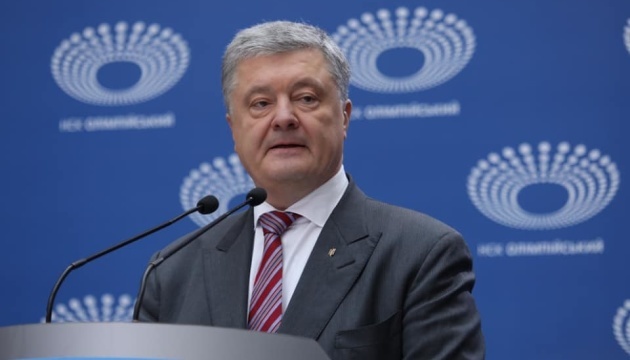 As reported, President of Ukraine Petro Poroshenko announced his intention to come to the NSC "Olimpiysky" to participate in the debate at 14:14 on April 14. 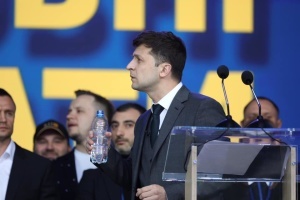 At the same time, Volodymyr Zelensky refused to come to the stadium on April 14 and said that he would come there to participate in the debate at 19:00 on April 19. However, according to the law on the presidential election, the debate on April 19 should be aired at the Suspilne TV channel (national public broadcaster).